Thanks to Skintimate® Shave Gel for sponsoring this post. Bath time is my favorite time to wind down and relax after a long day. 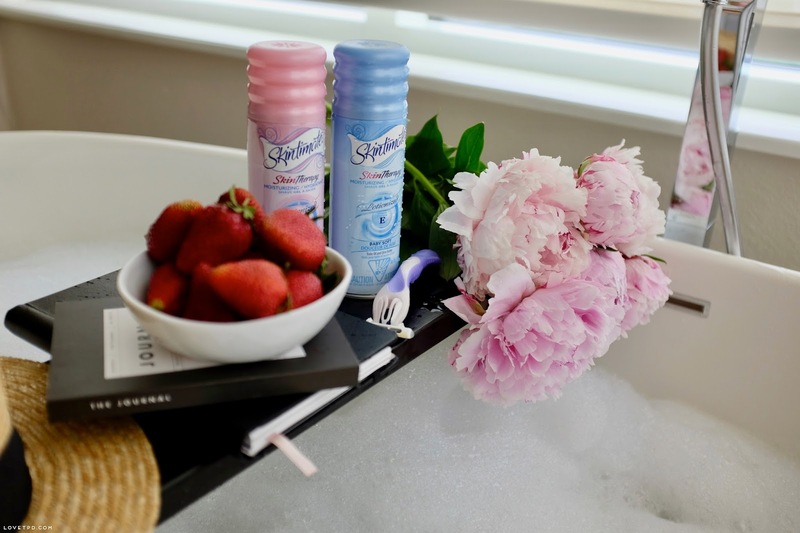 Sometimes you just need to pamper yourself with a nice, hot bubble bath. 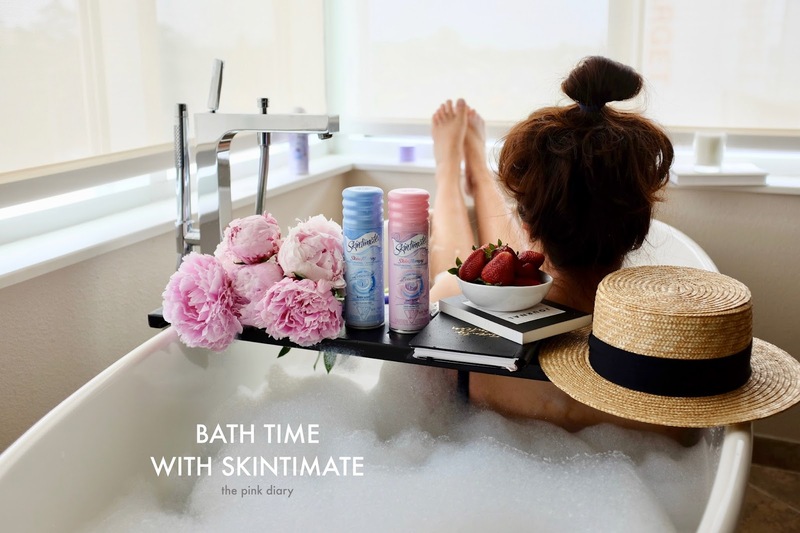 I’ve partnered with Skintimate® Shave Gel to share how I keep my legs looking healthy and smooth all year round. I always find myself missing a spot after I come out of the bathtub, but with Skintimate® Shave Gel, I never miss a spot. I used Skintimate® Hydrating Shave Gel and love that it's a lotion formula because my skin gets flaky after a hot bath. 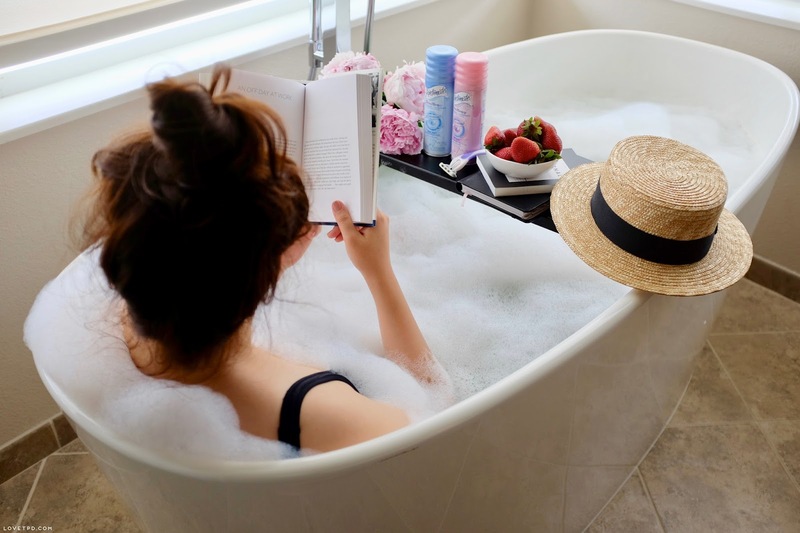 For me, I like to read a book or plan out the rest of my week while in the bathtub. A nice, scented candle is also therapy for me when relaxing. Ideally, I would like to do it every week but that doesn’t always go as planned. I like to shave my legs at the end, right before I’m about to get out of the tub so I don’t mix the shave gel with the bubbles. Do you shave in the bathtub too? I find that it’s easier to shave when in the bathtub because I can put my legs up. After using Skintimate® Shave Gel, I feel confident knowing my legs look great without having to inspect for missed spots. For more info about Skintimate® Shave Gel, check out their Facebook page! Oh I miss having a bath so much!